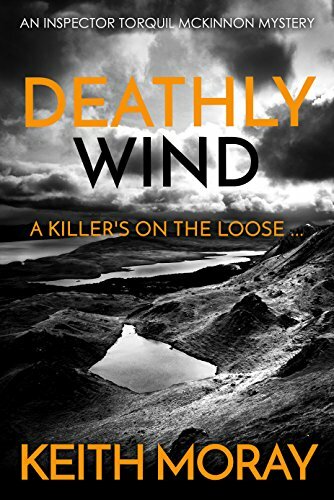 Inspector Torquil McKinnon is on holiday at the beginning of Deathly Wind, the second in the Torquil McKinnon mystery series, set on the fictional Hebrides island of West Uist. Constable Ewan McPhee, his friend and subordinate, is supposed to be watching the store while he’s gone. But Ewan goes missing. People frequently go missing on this island, and it usually means they’ve drowned. That leaves Constable Megan Munro to police the place alone. Ordinarily that wouldn’t be impossible, as crime is low in these communities. But just now there’s rising unrest, as a new Laird has inherited the big estate, and is implementing a plan to dispossess long-time crofters and put up wind turbines on their property. Also, people are suddenly getting killed. Quite a few of them. 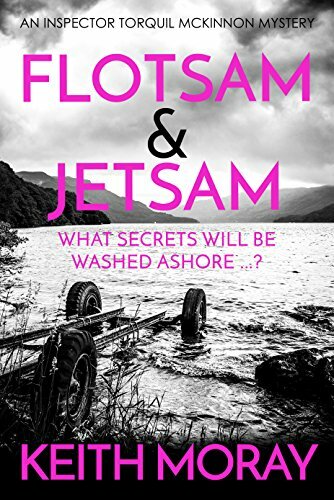 Torquil does return to take things in hand, but he’s not sure he can handle the pressure either – as his superior on the mainland keeps reminding him over the phone. But with his knowledge of the community, and the help of his uncle Lachlan, the old priest, he starts uncovering the secrets of people he thought he knew, and unraveling a vicious revenge scheme. 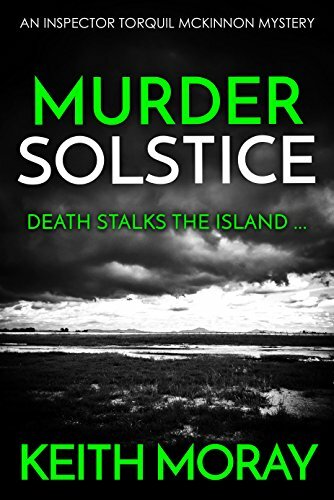 Keith Moray’s Torquil McKinnon series is not at the top of my must-read list – the writing is not particularly distinguished (I thought the plot of this one a little far-fletched). But the books are entertaining and readable, the characters are appealing, and no shots are taken at Christianity. I don’t recall much bad language either. There were some sexual situations. I’ll continue with the series. Recommended. Sometimes a book can be less than optimal in certain respects, but make up for it wonderfully in the sheer reading experience. 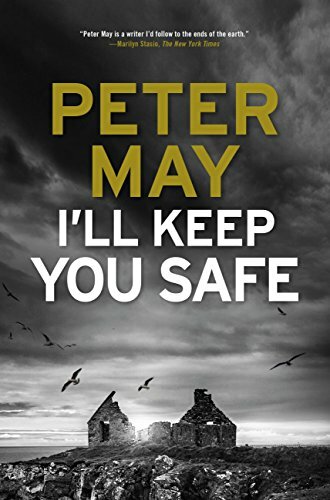 For me, Peter May’s I’ll Keep You Safe is one of this sort. Niamh and Ruairidh McFarlane are childhood sweethearts who grew up together on the island of Harris in the Hebrides. As a married couple, they took over ownership of “Ranish Tweed,” a small operation producing a cloth that’s similar to Harris Tweed, but softer and lighter. To their amazement, their tweed was discovered by a rising young designer, who made it the center of his whole collection that year, and before long they were running a large and profitable operation. But there are shadows in their lives. Their parents still disapprove of their marriage, due to old injuries that the book reveals in stages. There are professional enemies, and false friends. When the story begins, they’re in Paris for a fabric fair, and Niamh is suspicious, for the first time in her life, that Ruairidh might be having an affair. Then he enters a cab with the woman she suspects is his mistress, and the cab explodes. Suddenly a widow, wracked with guilt and doubts, she must return to her home and face the continued hostility of her in-laws, the suspicions of the police, and a growing recognition that the killing is not over. Someone wants her dead too. I was not surprised by the final revelation of the killer in I’ll Keep You Safe. And there was an earlier plot surprise that also didn’t surprise much. But I didn’t care, because the ride itself was the reward. Author May, as he has shown many times before, excels in painting evocative descriptions of Hebridean geography and nature. It might be the next best thing to visiting the place. Minor cautions for grown-up stuff, but I highly recommend I’ll Keep You Safe as splendid reading entertainment. Not bad. 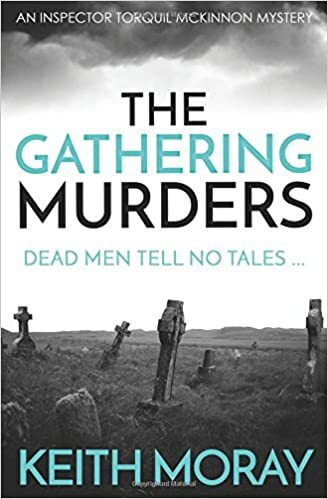 That’s my verdict on The Gathering Murders: Dead Men Tell No Tales, by Keith Moray. West Uist is a fictional island off the west of Scotland. Each year it hosts “The Gathering,” a Gaelic festival and book festival, subsidized by “the Laird,” the owner of a string of cut-rate book shops. The chief law enforcement officer is Torquil McKinnon, newly promoted to Inspector. He is the nephew of the local priest, Lachlan McKinnon, and his nickname is “Piper.” In fact he has high hopes for winning first prize in this year’s bagpipes competition. The big star at this year’s book festival is a native daughter, Fiona Cullen, a mystery writer and once upon a time Torquil’s sweetheart. She greets him with the promise of renewed affections, but she also seems determined to cause a lot of trouble. And trouble there is, beginning with the suspicious murder of a noted local poet and bootlegger. The deaths don’t stop there, and Torquil finds he may be over his head investigating this kind of crime spree. I liked The Gathering Murders. I thought the writing a little unpolished, but the story kept my interest and the characters engaged me. If, like me, you like a Scottish setting, this is a pretty good one, well brought to life. Cautions for mature material, mostly language and sexual suggestions (though nothing explicit). Christianity comes out pretty well, especially because Father Lachlan is a very sympathetic character.